Father Corey Litzner has kindly invited me to offer missions in his parishes in Menominee, MI and Stephenson, MI this Lent. When I first spoke with him about a mission, I thought it would be wonderful to teach people more about Vatican II, since its documents are very inspiring. But I must say, that only Father Corey was excited about that topic. Since all others were not even slightly enthusiastic, I quickly decided I would need to change the topic, or else only Father Corey would be coming to the mission! One day last month as I was driving in the dark to 7 a.m. Mass, I began to think of the darkness in our world: the moving away from God, and goodness and morality. 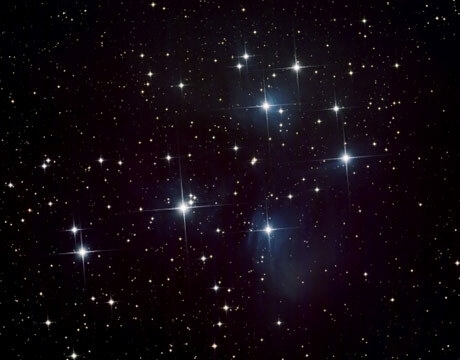 I pondered a bit more after Mass…Almost everyone recognizes the darkness that surrounds us and yet, is it not true that we can only see the stars when the darkness comes? (See Phil 2:15-16) As I drove home from Mass, I knew I had my topic: Be Light in the Darkness. I think it is one that many people will be drawn to. Please pray as I prepare for the mission.